I recently had the wonderful opportunity to meet Dr. Vandana Shiva and her beautiful biodiversity farm Navdanya located near Dehradun. Navdanya is more than a farm. It is a network of seed keepers and organic producers spread across 16 states in India. Having heard her and seen her video footages in several documentaries around ecology, genetic engineering, nuclear holocaust and food justice, it was quite a surreal experience as I watched her sharing her experiences, in her ebullient self, on her valiant fight against industrialized agriculture, interspersed with scientific facts and nuggets of wisdom on ecology of life. She exudes an indefatigable passion which is reflected in her spirited determination to fight the monopoly of multi-national corporations trying to takeover our food system. What does it mean to patent a seed? It is a claim to creation that they have invented and created the seed and therefore no one else can make it, use it, save it or distribute it. By patenting seeds, they wanted to achieve total monopoly through collecting royalty and making it illegal for farmers to preserve seeds. But this was also an announcement that company like Monsanto is the creator of life. To me, this is like a huge ethical bull-dozer running over you. I wont let it happen. We must do something to prevent it. How do we prevent something that is so big? You dont have money. You are not a multi-national organization with its enormous power. How do you respond to something so big that wants to own all of life in the planet? My mind went to Gandhi pulling out a spinning wheel. At that time British controlled 80% of the land. They looked all powerful. It was said that the Sun never set in the British Empire. Gandhi pulled out the spinning wheel and said, we will spin our way to freedom. We will challenge the bigness of empire by the smallness of the spinning wheel. This was a huge inspiration for me. What is wrong with the whole issue of genetic engineering and seed saving? The first thing that is wrong is the entire attempt is to not let the seed be saved. In seed saving we conceive life. You grow the seed. You harvest the crop. From what you have harvested, you put aside few seeds. You normally select the best for the next and then you grow the rest. There is a cycle between food and seed. Seed gives you food but it also gives you the seed for the next generation.That is the living energy embodied in the seed. Industry sees this as a big problem because, how can you make money out of something that renews itself? Twenty five years ago, they started to say that we must force every farmer to come to the market every year. They first changed the rules of ownership of the seed. Look all around the world. We have seed patent laws in every country(Read Iraqi struggle , Chilean struggle against patent laws) There are also seed registration laws which make local seeds illegal. When you register them, you have to apply to government to seek permission to grow your own crop. Which local farmer in one Himalayan village would apply and say give me permission to grow my crop? He would say forget it and let me buy the seed. That is the intention. Trouble the farmer so much that they end up buying it. Only patented seeds are available in the market. Genetic engineering was done in order to get the patent. Of course, when they started, I remember having debates in the eighties. Oh! We will grow food in the moon. ( They are still serious about it! ) We will grow food in the desert. We will grow food in toxic dumps through genetic engineering. Over the last twenty years of commercialization, there are only two kinds of application. One is to grow crop that can tolerate a herbicide. These are called herbicide resistant crops. Monsanto has a herbicide called Roundup and they make Roundup resistant Soya, Round up resistant Corn etc. This was supposed to control the weeds by having this round up resistance. It will kill the weeds and you will have your crop. The reality is this: The company that sells the chemical also sells the seeds. It has two things to sell and they are married to each other. The worst reality is what is happening in America where 70 % of corn and soya grown is genetically engineered. More than 16 million acres of land is now overtaken by weeds that have become so resistant to Round up that you cant kill them. There are only two ways you can deal with the weeds now. One, bring slave labour to physically uproot them. Two, spray Agent Orange which was sprayed on Vietnam. Monsanto pays dollars to farmers to make them buy more toxic chemicals. Earlier they used to make them sign a contract: I will not buy any chemical not made by Monsanto. Now they are telling farmers to buy more chemicals made by competitor companies as well. The technologies have proven to be a total failure. But Monsanto keeps pushing these products through advertisements. The second application of genetic engineering revolves around Bt. Crops. They are supposed to produce a pesticide in the plant which will control the pest. If the plant itself produces a pesticide all the time, one is toxic, the pest will become further resistant. We see this in cotton plants. The companies are putting two toxic genes. In the future they will put 3,4 toxic genes. It wont solve the problem. It will create new pests. A technology which is supposed to be a miracle technology is creating super weeds and super pests. (Wait..But weren't we reading in media something else ? )Another argument used by these companies is that they produce food for the benefit of millions. It is a miracle. Nina V. Federoff , who was the science and technology adviser to the secretary of state from 2007 to 2010, wrote an article recently where she said only GMOs can save the world and all the regulations for safety is a hurdle in saving the world. 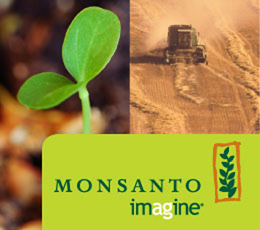 Monsanto is the biggest genetically engineered seed company in the world. They came to India with Bt. Cotton. They have overtaken the cotton seed sector close to 95 % . The seed prices have jumped from 5 rupees to 4000 rupees. The pests aren't being controlled and so farmers are buying more pesticides. The result is debt. Indebted farmers who can't pay the debt and whose land is now being taken away because they mortgage the land to borrow for the seeds are now committing suicides. Quarter million Indian farmers have committed suicides over the last ten years. This is appalling. The integrity of life is not just the integrity of butterfly and bees. It is the integrity of the human being. It is the agricultural system which is killing the butterfly and bees. It is killing the soil organisms. It is killing the species which have 1500 varieties of cotton. Now there is only Bt. Cotton. The green revolution reduces the diversity of rice crops we grow. Only few varieties of rice are now grown across the world. As you take walk in my farm, you would see 600 rice varieties that are grown in this farm. What is called industrial agriculture is careless agriculture. It tells the farmer, forget seed saving. We will take care. It is like telling the humanity. Forget children. Just wait for a brilliant Japanese company to make robots. Like they do for pet dogs. Why have a pet ? It takes trouble to feed the pet, give water, look after its poo. Forget it. Make a little robotic pet. You can switch it on whenever you want.